E.mail is the first point of contact with the communities of the Internet. How do you find those who share your goals? 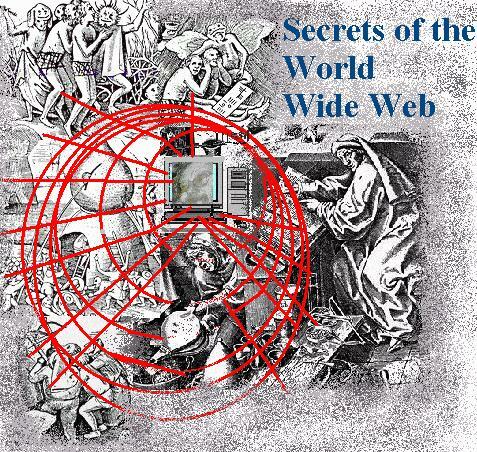 The e.mail access to the web. How to index and process the letters you receive. Learn about the rules of conversation and build your own desktop web page. People with common interests arrange to communicate with each other via e.mail using listservs. A listserv is a computer program located on a computer which will keep a list of e.mail addresses and send all of the mail it receives to all of the members. Listservs are little communities. When you join a list introduce yourself and ask any questions you might have. But, don't just join to find information or help. Remember the list is a little community. Try to help others and always be polite. Never complain about another person's style or messages to the list. If you have a problem complain to the list owner who will work it out for you behind the scenes. Perhaps you could also e.mail the offensive party directly off list. Keep to the topic of the list and you will have a good time. Lists come in all topics and forms. They are the cutting edge of the Internet community. A good place to share information about other web resources. Keep in mind that you can also mail yourself web pages from most web browsers. It is usually done via the fille menu at the top bar. Even using the Lynx browser you can mail yourself web pages. This is useful for those who find themselves without access to web browsers or other client programs. It does take longer but it is better than nothing. They call it a holiday notice but it works fine as an auto responder too. Remember also that obtaining e.mail addresses is your key to expanding your world on the web. The more addresses you have the more web space you can obtain! When you communicate with a person via e.mail it is important to process the information you receive carefully. Most e.mail accounts and programs have address books. You can save addresses and groups of addresses in these. Where possible it is helpful to keep a list of addresses as a group when you will be sending the same sort of message out to many people. addresses down. As you have worked out your topics and interest areas you will be able to add the e.mail address to the relevant topical pages. Write down why it is that you have saved this address. Save the address under several topics as necessary. Writing down e.mail addresses is essential as from time to time web browser programs are lost and gone along with them are all the addresses. Remember also to set up files for important e.mails. All those emails which give permissions or convey passwords or important instructions should be printed out and filed. Keeping in touch- some people should be contacted regularly for update information. When this is the case use a calendar or diary book to remind yourself who to contact about what and when. Do this when you first record the e.mail address. Include with the address the addresses of any web pages related to the person. Be considerate of privacy. Whenever you send out an e.mail with multiple addresses put your own address in the to spot and make everyone else a blind carbon copy recipient. That way no one else will get the other's e.mail address. Keep records of those who do not want their e.mail addresses given out or those who do not like to receive large attachment files. No matter where you go you can have a valuable home page appear on the screen of your terminal. As you use the Web and Internet you will have a number of e.mail addresses you write to often. These can be installed on a web page as mail to links. You will also have web pages which you visit frequently. These can be made into links. floppy disk. You can set it up as your Home Page- the page to which your browser opens when you start it up. It can go any where you go and make your life on the web efficient. You can also add to it. and others and it is portable. You can also visit http://www.crayon.net/ and design your own news and information page- make it a link to your desktop page. As you work on the Internet you will find many opinions concerning style and manners. and freedom of expression. It is important to remember, however, who you are writing to and where you are writing. In certain places anything goes but in some news groups and e.mail lists your freedom is limited. for example which persons do not like to receive e.mail attachments. Write all of this information down in your organized book. E.mail is a wonderful medium. It is immediate- you can be as informal as you wish. Some people proof read their e.mail as they would a major publication. This takes time which detracts from the immediate and instant nature of the process. I tend not to proof read and treat e.mail as a conversational medium. Remember you are not always writing a research report or a business letter. People should be able to understand that. If others insist that you change your ways simply respond politely that if they wish a proof read and corrected document that they are welcome to proof read it and spell check it themselves. You also need not respond to angry letters. Keep a copy however with its full header just in case that person can not learn when to quit. Any nastiness should be reported to the persons internet provider. But....you will have to have evidence. Also it is important for you to be tolerant of others. If someone flies off the handle from time to time be forgiving and as understanding as possible. Make yourself a desktop web page and learn how to open it up in your browser.